Note: a great alternative to these pancakes would be to make regular pancakes, the apple pie topping, and serve with vanilla ice cream. That's what I would have done had I had the proper ice cream! 2. Peel and core apples. Slice and chop into ~1-2" pieces. 3. 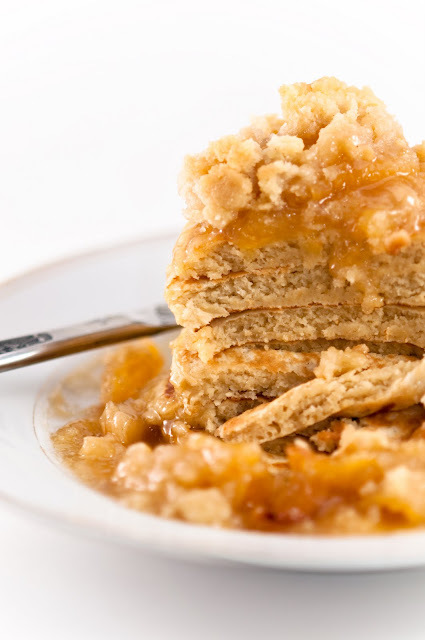 In a medium, heavy-bottomed saucepan, combine apples, 1/2 cup butter, 3/4 cup sugar, brandy, and cream. 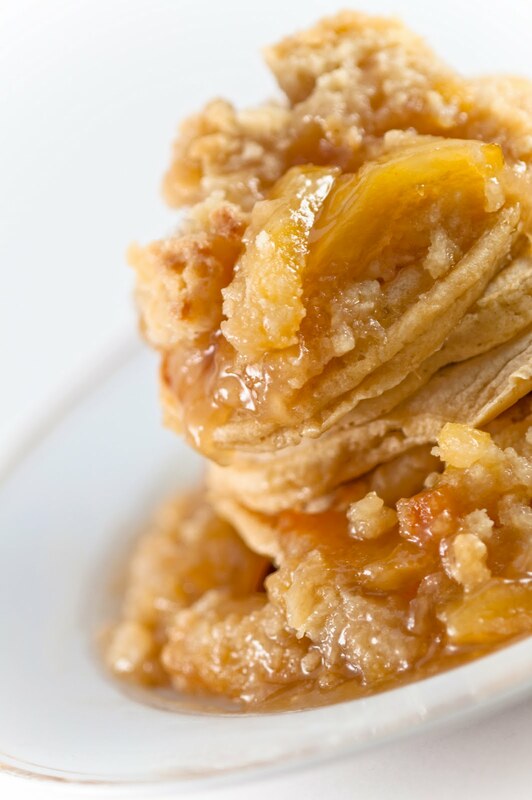 Bring to a boil and cook without stirring until the mixture reduces and sugar is caramelized and creates a thick glaze over the apples. 4. Meanwhile, combine in a separate bowl the flour and remaining sugar. Cut in 1/3 cup butter and use a pastry cutter to combine until the butter is distributed throughout the flour and sugar in small pebble-sized pieces. 5. Pour the caramelized apples into an oven-safe pie plate. Top with the flour and sugar mixture. 6. Bake in the preheated oven for 18-20 minutes, until the topping is golden yellow. Remove from oven. 4. 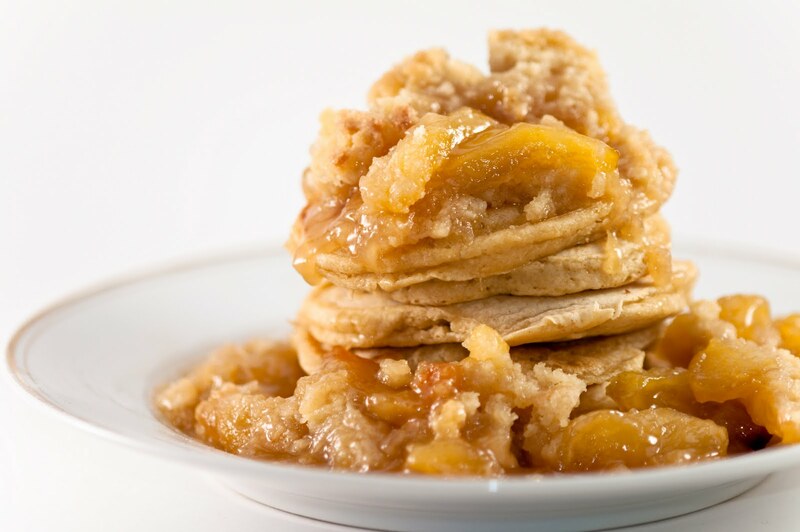 Top the pancakes with the baked apples and crumb topping and serve while hot. These pancakes look fantastic. I'm bookmarking this one. These look amazing! I just went apple picking yesterday, I will have to try this out. Gonna make this for my mom for mother's day!